Eighteen F-35 stealth fighter jets are set to come to Vermont next year, but on Town Meeting Day, a ballot question with language rejecting the fighters passed with wide support in Burlington. 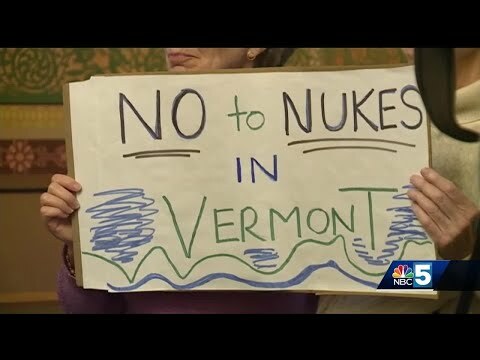 We’re looking at what that vote means and what happens next for the F-35s in Vermont. Fifty-five percent of Burlington voters called for canceling the basing of the F-35s at the Burlington International Airport. Ballot Measure 6 now tasks the Burlington City Council to “request the cancellation” of the F-35 basing decision, and “request instead” alternate “low-noise-level equipment” for the Burlington Air Guard station. After surviving past council efforts to vote down the fighters and a legal challenge to the site selection process, the Vermont National Guard says the vote won’t change their plans to bring 18 F-35s to Burlington starting in 2019.